These four gentlemen from Georgia, known otherwise as the "Clown Princes" of barbershop, have once again captured the hearts and funny bones of entertainment lovers everywhere with their newest collection of songs. 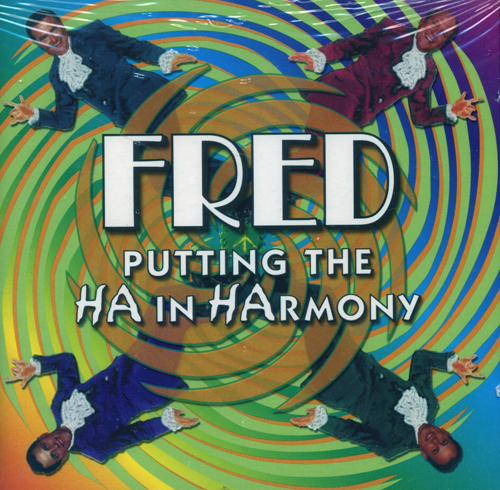 "Putting the Ha in HArmony" is a double length recording, containing over 20 of Fred's most memorable live performances. The recording chronicles the past ten years of contests and shows, climaxing with their winning the SPEBSQSA's international quartet championship. It is crammed full of brilliant parodies, impeccable timing and pure blended harmonies. These songs are not available on any other recording. It is the ultimate Fredology.